Excellent work and road map for everyone interested in a DYI or even paying shop to replicate your work. Thanks for this. 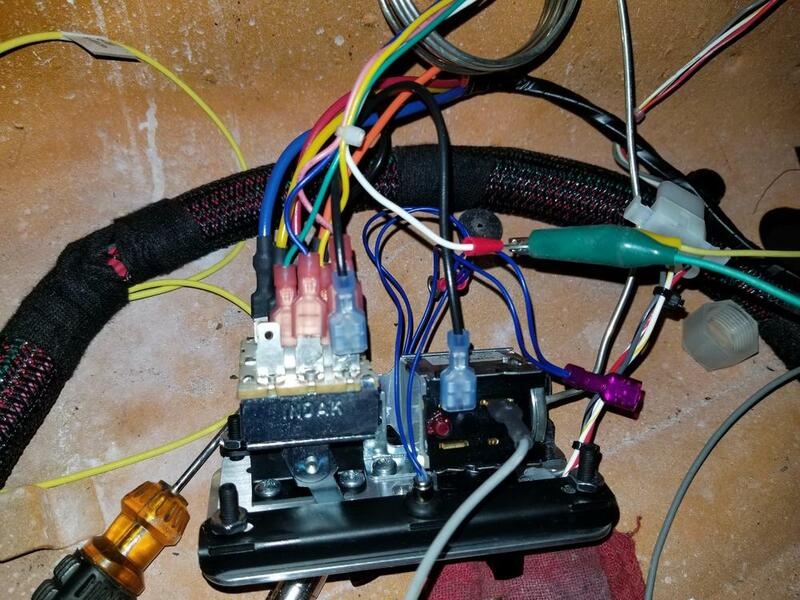 I was about to do the exact same setup, retrofitting the VA controls into the stock panel. Great to know it can be done relatively easily. Thank you @qz16. I made a PDF of your post so I can contemplate doing it myself in the next couple of years. Wow, such great detail. Awesome job! Very nicely done - both words and pix. Nice work. I have been planning to install the Gen2Mini for some time now and also plan to keep the Z control panel. 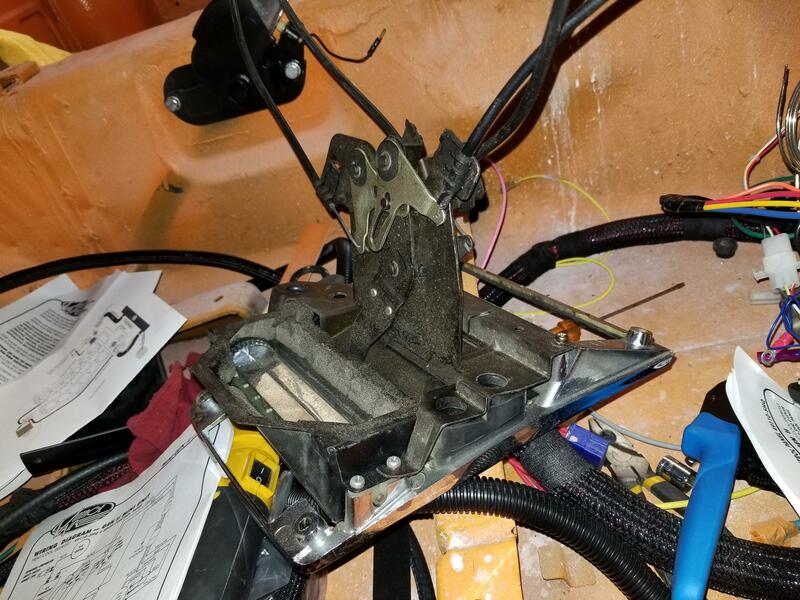 But, I will retain the original levers and simply mount the new control mechanism on brackets that are operated by short connecting rods from the original levers. I also want to use the Z rotary fan control, but not sure that will work. If I have to use Vintage Air's rotary fan speed control, I hope I can find a way to mount the original control knob. Good job...just goes to show there is more than one solution to most problems. 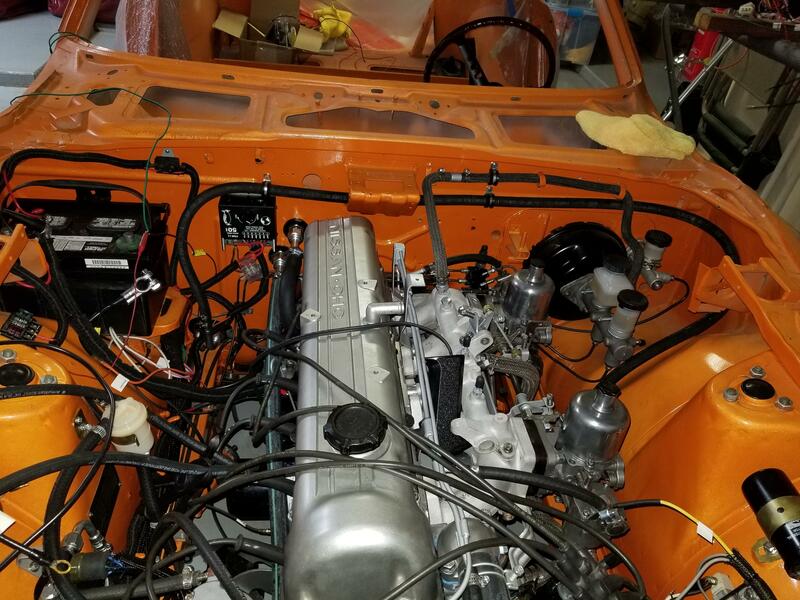 David F- your plan to "retain the original levers and simply mount the new control mechanism on brackets that are operated by short connecting rods from the original levers" will be quite challenging. 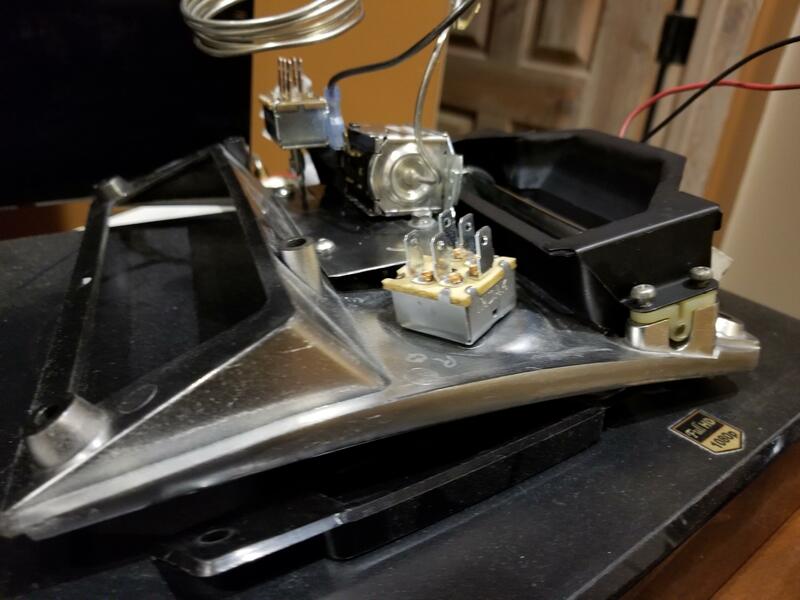 I am sure that you will figure out a way to use the original fan control switch which will allow you to retain the look of the original knob. That will be a nice touch - I'm jealous. To all that have responded - I appreciate the kind words, "thanks", and "likes" - Thank you. David F - oiluj did a very nice job. I was not doubting you - it just sounded difficult to me. I actually thought about doing something similar, but was not able to get it to work reliably. Oiluj came at it differently and has my respect. Awesome write-up, thank you for taking the time to do this. Your installation looks very clean and organized.. I have this one or a Gen III in my car. Awesome air conditioning! I was asked to regenerate the parts list order/s required for the install of the vintage air mini gen II. Below is the information for the mock-up box that vintage air loans out to help customers understand the size of the package that has to be installed inside the car. 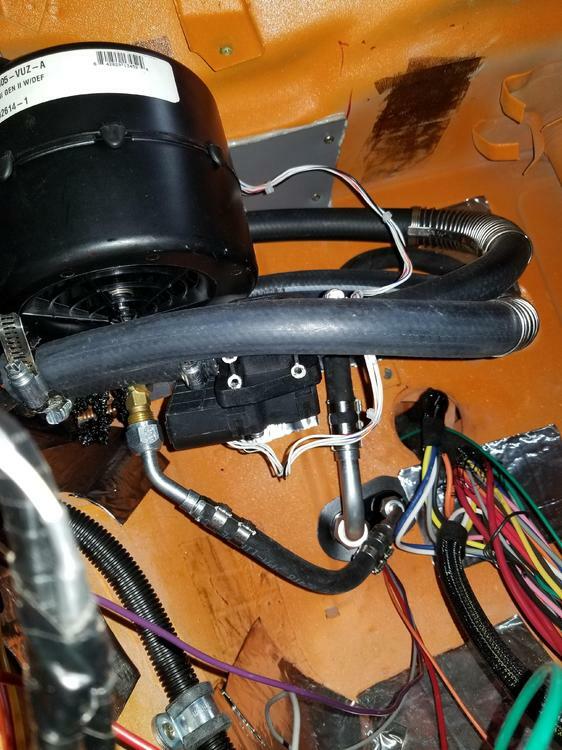 It helps you understand where to put the evaporator and hose connections. I cotacted vintage air and this was the info that they gave me. I decided that in my case it would not be necessary to actually mock-up the install. I was confident that I could get everything to fit based on other installs that I had read about. I would add that vintage air was responsive and helpful. I did not use the Horizontal slide panel. 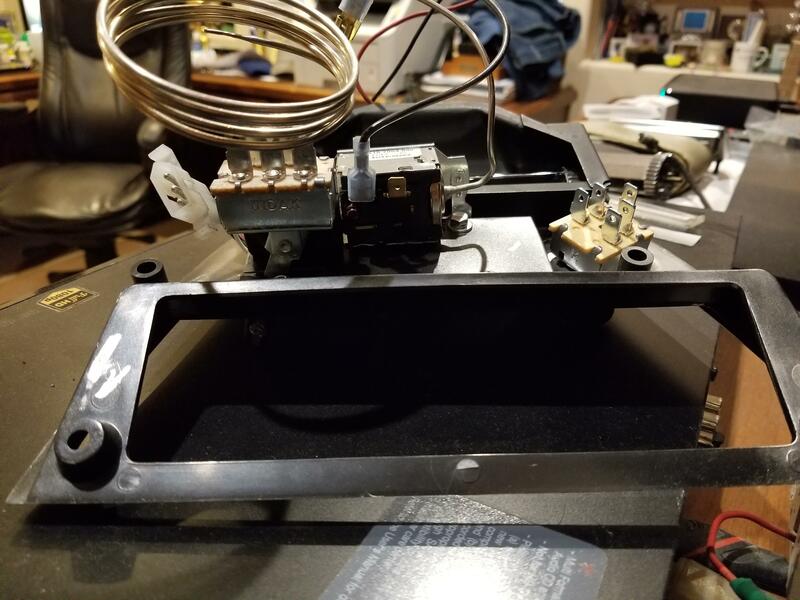 I did use the York to sanden conversion bracket – but I have heard that there are better solutions out there. with the quality of this connection system, but I have high hopes that it will not leak. I liked the idea of using the bulkhead connectors and so I bought two. One for the AC hoses and one for the heater hoses. If I had to do it again, I might separate the hoses a bit more; just to make it easier to connect the hoses. The bottom line is don’t get ahead of yourself. Order what you need. As best I could tell there is no discount for larger orders with the exception of shipping cost. My second order was just foolish. 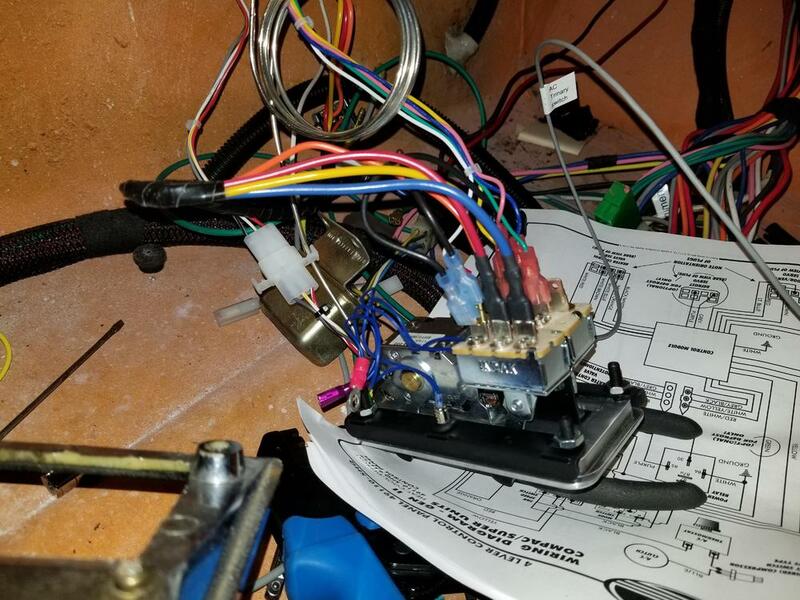 Do not order hose connectors until you really understand your hose routing. In my opinion this is not possible until everything else is installed. 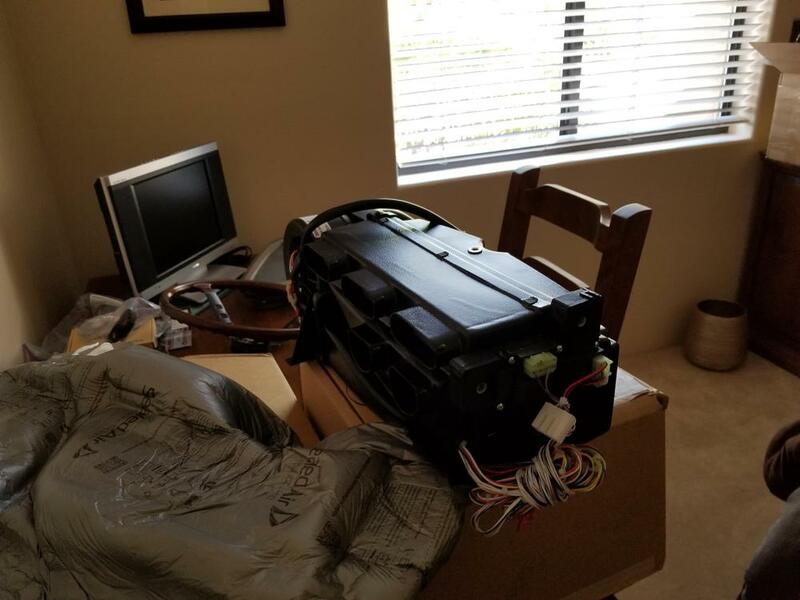 With regards to the connections inside the car. My install works but, it would have been a lot easier for me if I had realized how little room there is in the cockpit. 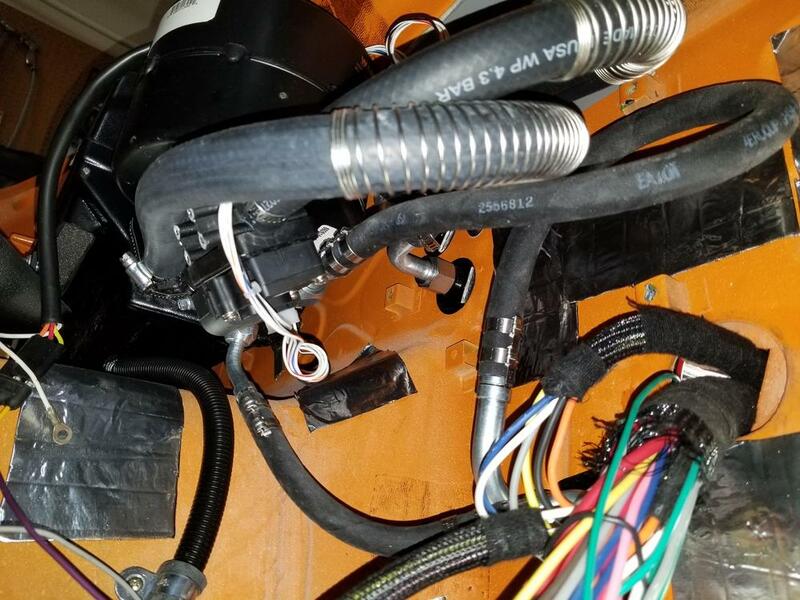 If you understand how difficult it is to make bends with these hoses and how much room you need to actually tighten the connectors then placement of the bulkhead connectors can be improved. This influences the selection of connector style (90 deg., 45 deg. straight, etc) I ordered a number of incorrect connectors. 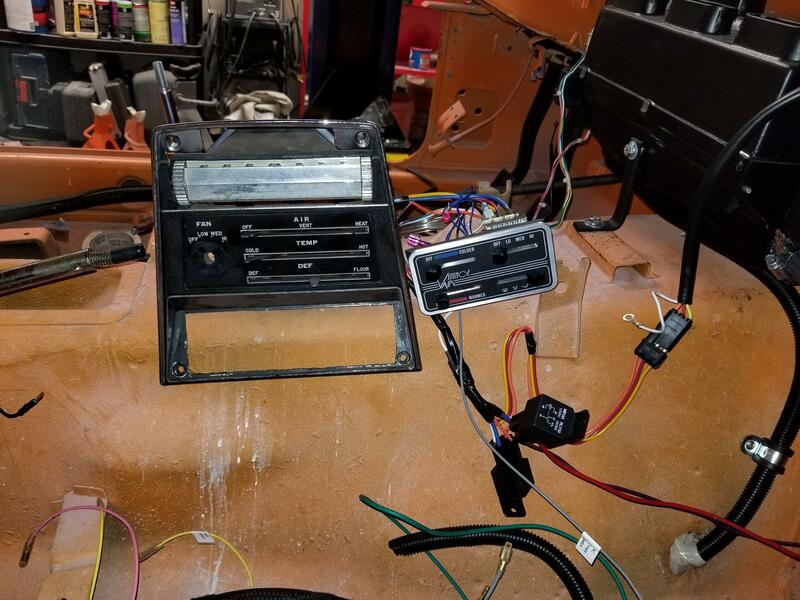 The final order that I placed was for controls so that I could use the original 240z climate control panel. I know some of you will be interested in the total cost of the install. I made a few mistakes that were somewhat costly. And the total cost of these orders also includes the EZ-clip system and plier and extra parts. So, if you add all of the figures the total is approximately $2154. I would estimate that there is approximately $300 worth of material that I did not need or use (panel, bracket, hose connectors ..etc) There is a $75 plier. I did not calculate the additional charge for the ez-clip system. The reason I bring this up is to be fair to vintage air regarding cost. If you compare the price of their system to another vendor make sure that you are comparing equivalent systems. Given the additional information/experience that I have at this point I would make the same choice and go with Vintage Air. I hope this helps and if you have a question, I will try to answer it. Excellent write up. Thank you for taking the time to create it. Comments from my experience with EZ clip. i love the hose and fittings as they are all DIY. The hose is much smaller than the standard black hose and does much tighter radiuses-es-es... radii? Stay away from the SS braided hose that Vintage Air has unless the look of it is a requirement for your build. Pricey and very technique sensitive to get good seals. 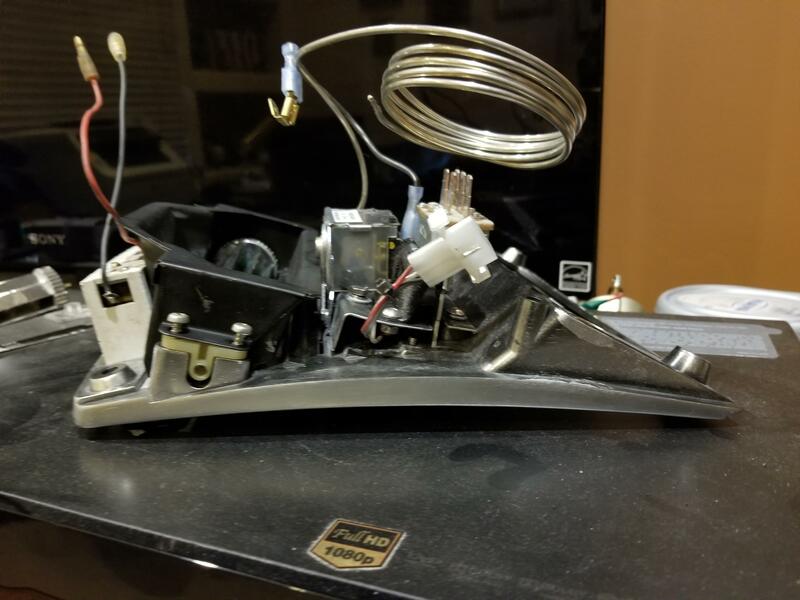 Second, do not buy EZ clip stuff from Vintage air. $$$. You can find them at AC businesses such as new-line.com much cheaper. Many major centers have New-Line retail outlets. Third, the EZClip lock ring plier tool is also much cheaper from ebay/amazon or new-line. Get one, don't try to do it with regular pliers. It also allows you to UNDO the clips. I am sure that I have the detail photo for whatever you are looking for and if not I can take an additional shot or two. Having said that I am not sure what you are looking for. Below are additional pictures of the cockpit to bulkhead hose routing. Hope this helps but if not let me know what you need and I will snap another shot. So this is a fairly good shot that shows 3 of the 4 hoses. The hoses moving left to right . The first hose (furthest from the firewall is the heater return hose. The next one if the heater entry hose. It has the electric valve (box closest to the Evap Unit). 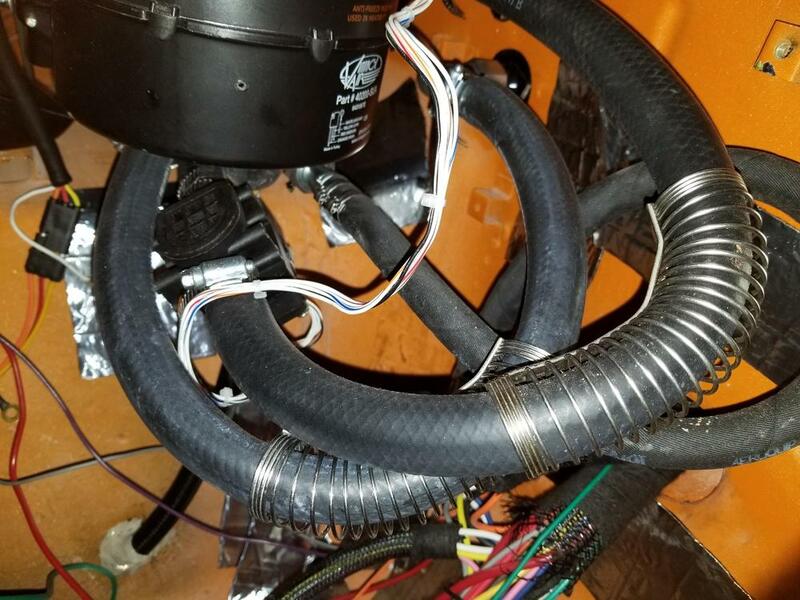 Both heater hoses have EZ coils on them to prevent collapse of the hose. Probably not needed but bend is sharp (not severe) and I just wanted to be on the safe side. The heater hoses go through the firewall behind the evap unit, those bulkhead connections are partially visible in this image. This image is shows the AC bulkhead connections below and to the right of the evap unit. 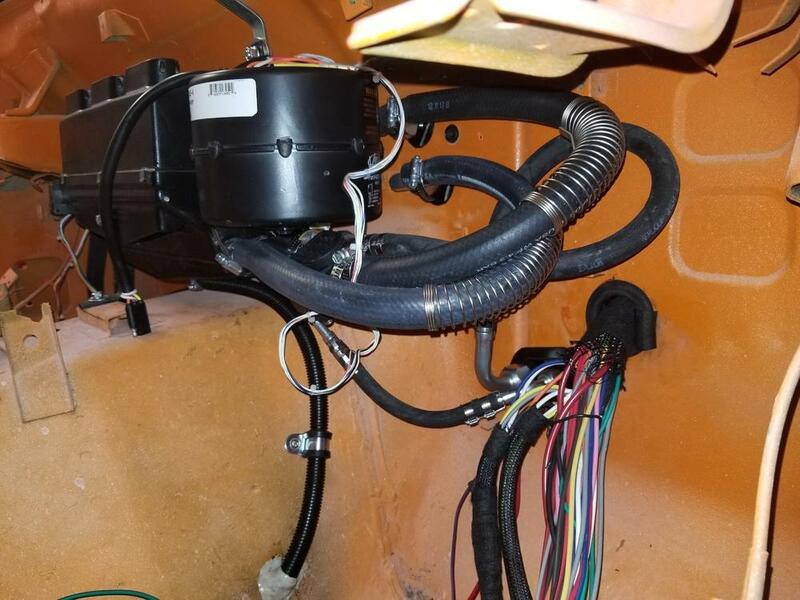 My partially dressed wire harness obstructs the view of the 2nd ac bulkhead connection. This image is from underneath (low in the footwell). Not a lot of extra room. It actually looks worse than it is because of the water valve (the square plastic box under the water hoses). This is really the first view of the 4th hose (the 2nd ac hose). It points down. 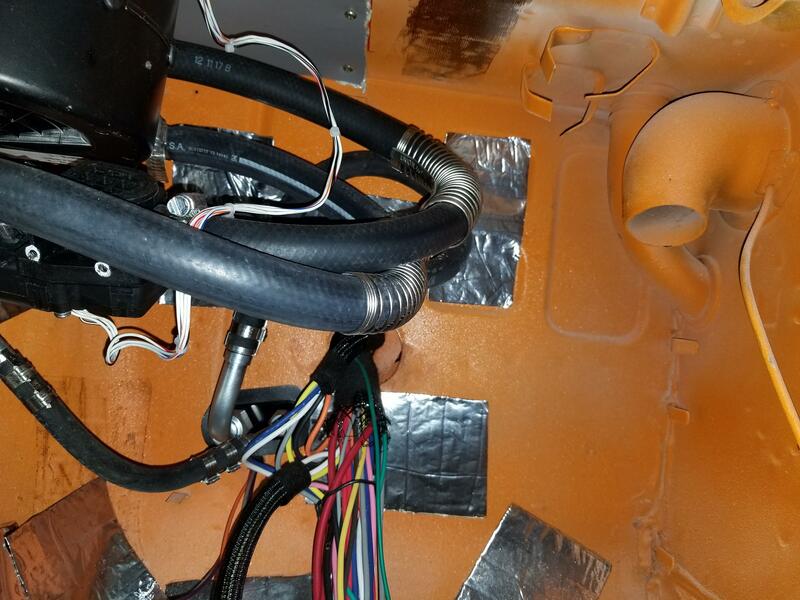 This is probably the best view of the AC hoses, bulkhead entry/exit in the middle of the image and the goofy routing that I used to get it to the evap. Bottomline: You are correct. There is not a lot of room, but it is certainly enough. It is a pain in the neck to make the connections because of the contortions that you have to go through, kneeling on the ground outside the cockpit etc. I am a little too big to be an easy fit in the footwell. Between the cramps due to the twists of my upper body and the skinned hands I was certainly glad to be done with it. Like I said if you need a different view let me know. Actually, although these are helpful, I was referring to the vent hoses that go to the defrost ducts. sorry, I just did not pay sufficient attention when I read your question. You said vent hoses and I totally spaced out. The interior on this project has stalled. 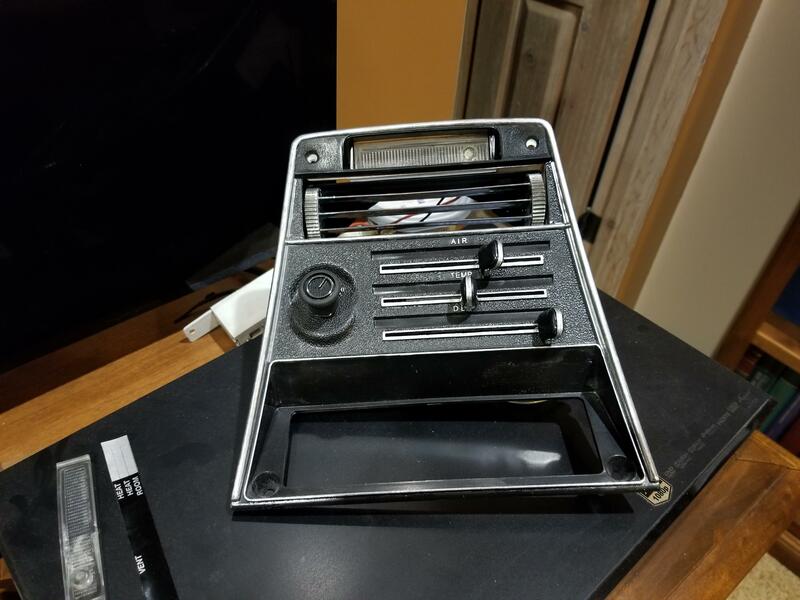 I have been waiting for a replacement dashboard from Vintage Dashes since September. Sorry I could not be more helpful. If the dash shows up I will be getting back into this and will make sure that I take photos and post them here. If, and it looks likely that you will finish before me please post your photos. Once again sorry I could not be more helpful. good luck with your project. No problem! I temporarily pinned up my defrost ducts and looked at the angles and it looks like they are almost parallel to the evap unit... could be tight bends for sure. I am also waiting for the dash for the 280's to be made available. My interior is still a long ways off. I am more concerned about getting lines and hardware in place for the finishing work later.